I've just added a few scarce vintage Heuer chronograph crystal and crystal gasket sets to Squinky.com including ones for Heuer Skipper 15640, Heuer Autavia GMT 11630 and TAG-Heuer 2000 model 962.206 watches. 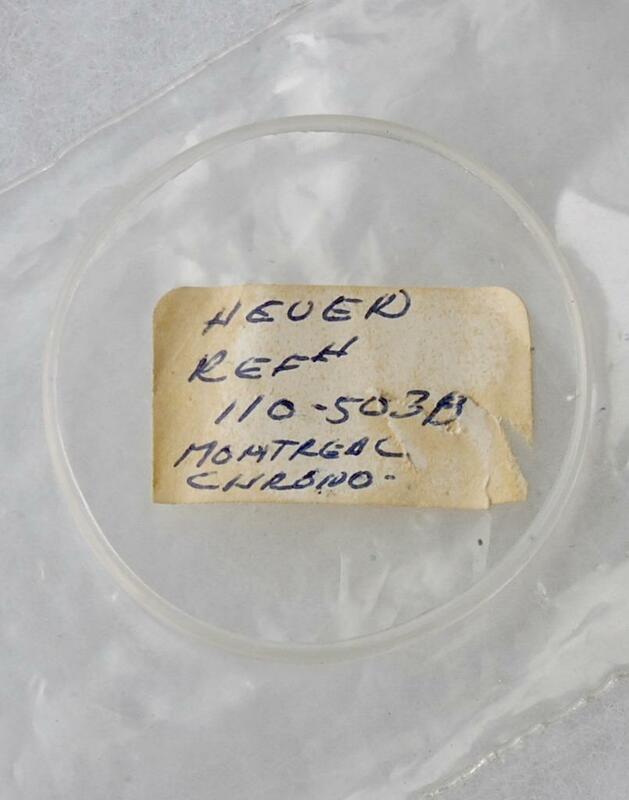 I've also got just one of these Heuer Montreal 110.503B crystal gaskets. This part is $35 shipped in the USA. Email me at billmahoney@aol.com if you are interested in any of these vintage Heuer crystal parts.